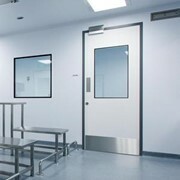 Take control of your environment with durable, customisable PVC doors. 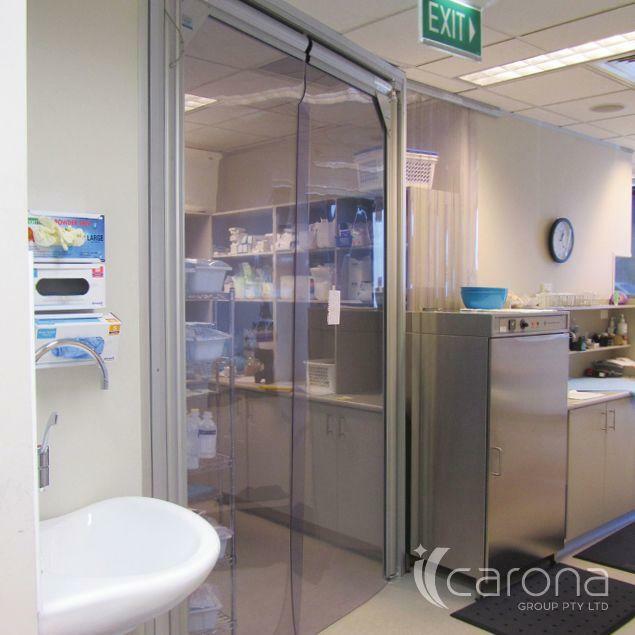 Use opaque PVC as a visual barrier: ideal for privacy in hospitals and storerooms. 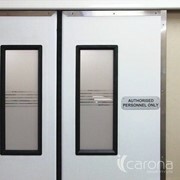 Add signs to your doors to control who can access each area. Custom-made to suit any doorway. 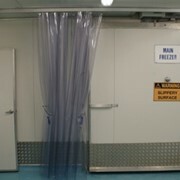 Choose from Duraflex, Polaflex or Texaflex PVC in a range of colours, including transparent and high-vis. Anodised aluminium frame for a neat, clean finish that you can use in customer-facing areas. 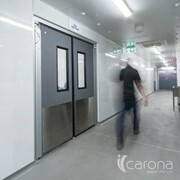 Suitable for coolrooms, freezers or ambient room conditions. 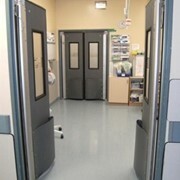 Doors are set to swing shut behind you, to maintain hygiene protection. 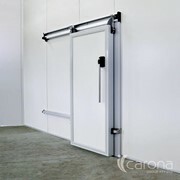 Fully adjustable spring tension, so you can control how fast the door opens and closes. By adding a magnetic hold-open assembly, you can set the door to stay open during peak traffic times. 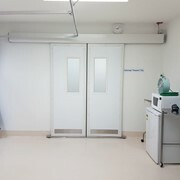 3000 series — fully-welded and powder-coated door frame and gussets can withstand impacts and span large openings. To protect the door frame and your building, we’ve designed a sacrificial hinge pivot to break under extreme impact. Replaced easily and cheaply as required. European quality, flexible, thick and durable PVC is designed to withstand maximum impact in high-traffic areas. 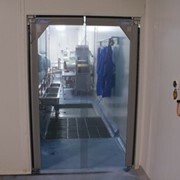 Doors and frames are easily cleaned. 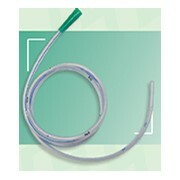 They can be wiped down or blasted with a high-pressure hose. 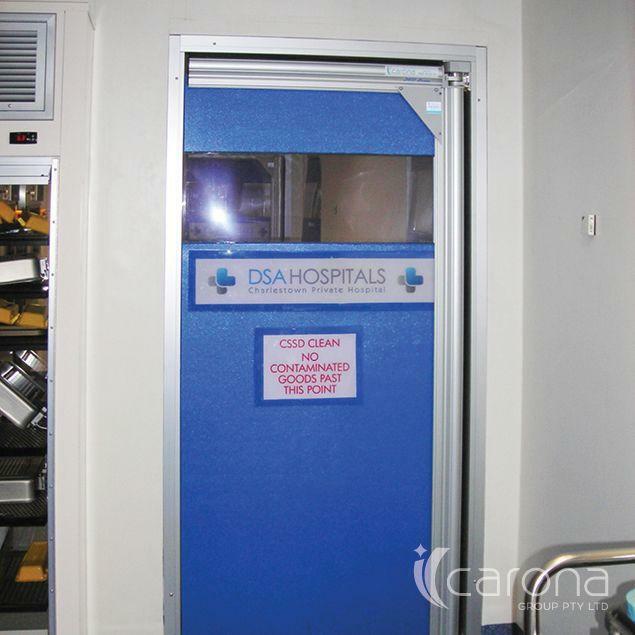 Damaged door panels are easily replaceable. 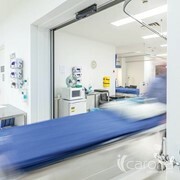 Keeping your patients and staff safe comes down to control: managing who and what gets into every room. And that control extends right down to the air people breathe. 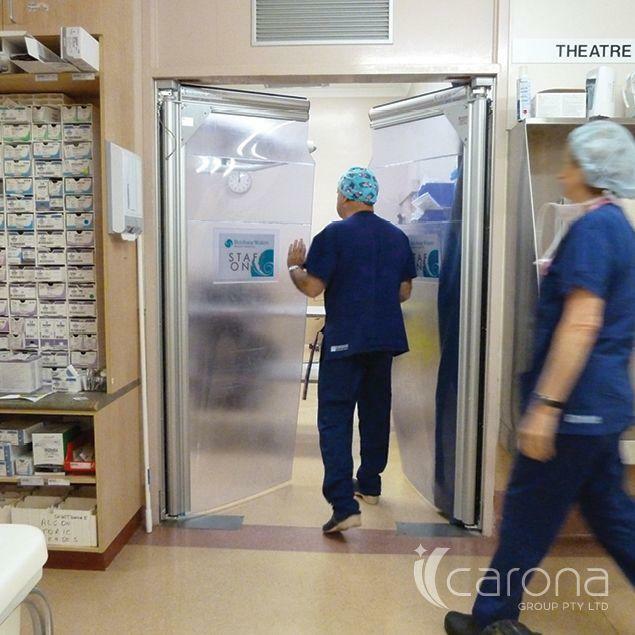 In the healthcare sector, quality and value comes down to three factors: HYGIENE: doors built from corrosion-resistant panels, for quick wash-down. 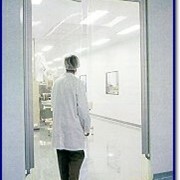 CUSTOMISATION: tailoring doors to your facility, with the material and dimensions to fit. SUPPORT: on-call service and a proactive maintenance team. 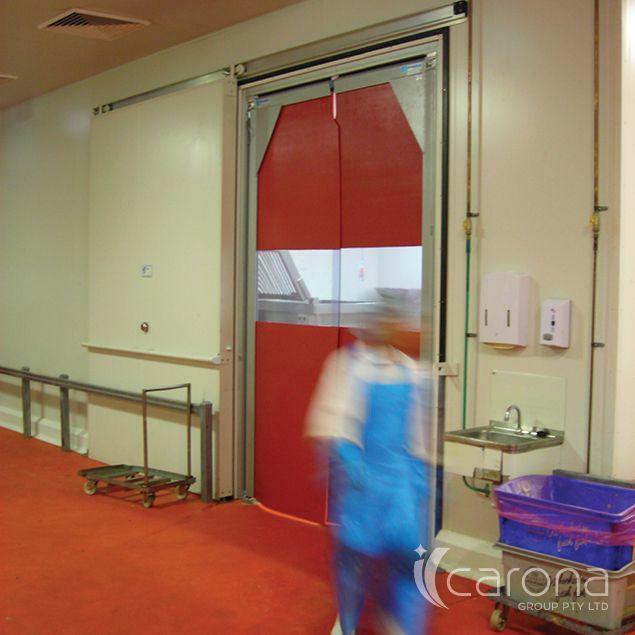 Carona has more than 30 years' experience delivering technically innovative and durable door and barrier systems. 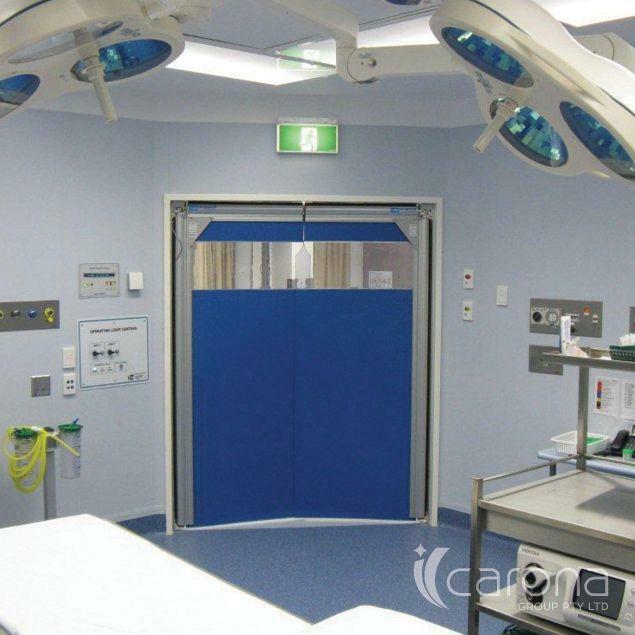 Our panel doors meet Australian Design Standards for Class 2/9 Buildings, to meet your design requirements. 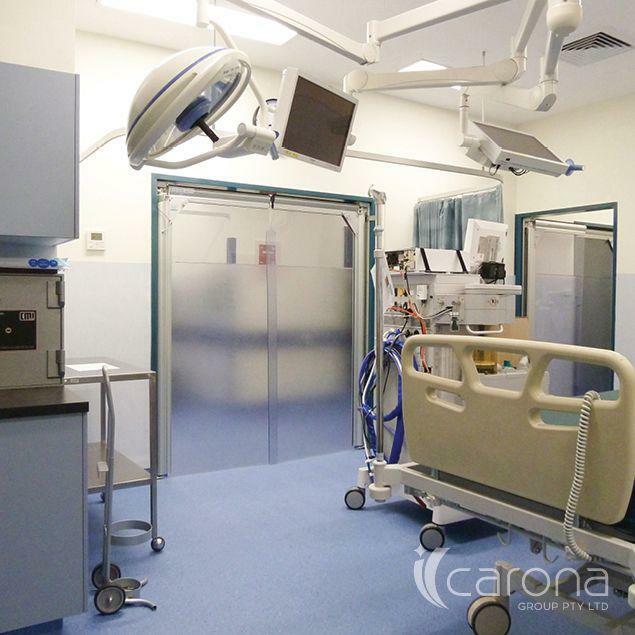 Mention MedicalSearch so Carona Group can best assist you! Get a callback from an expert at Carona Group to help answer your questions.